Sayulita is a quaint fisherman village located north of downtown Puerto Vallarta in Nayarit, Mexico. 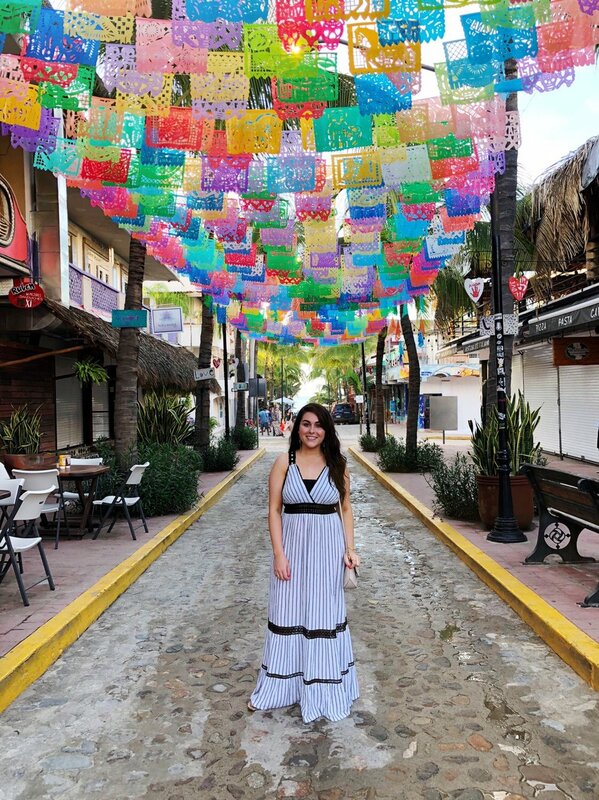 Known for its laidback vibe and colorful flags, Sayulita is one of the most laid back places I’ve traveled to in Mexico. If you want a getaway at the beach where you do nothing but eat and layout then Sayulita is the destination for you. The village is very small – you can walk around the entire thing in 15 minutes! Its one of the things I really loved about it because we were able to walk out of our hotel and be at the restaurant in under 5 minutes. While it’s small in size, Sayulita has a big personality. It’s a vibrant city with good food, fun beaches, and incredibly nice locals who are more than happy to sit with you for hours and have great, intellectual conversations. 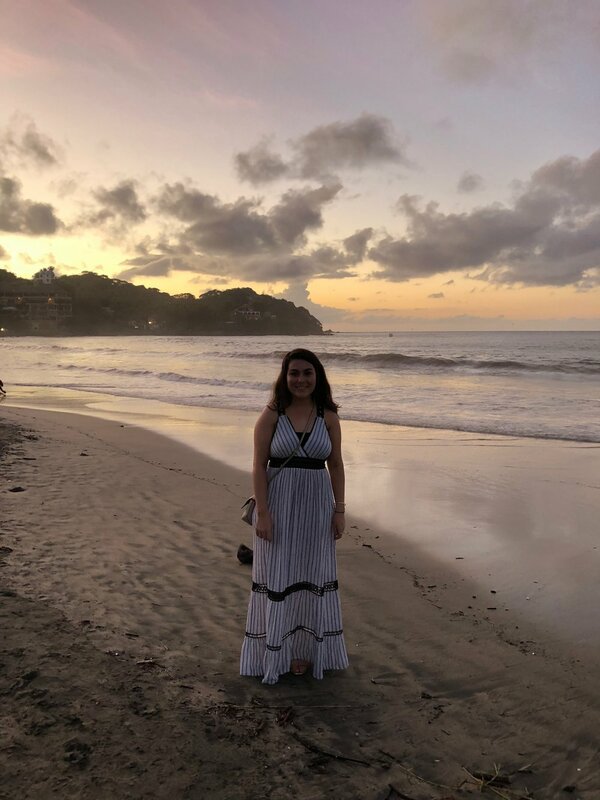 My boo and I went to Sayulita for five days, and despite getting caught in a hurricane scare (more on this below! ), we had the best time and came back feeling super refreshed and looking forward to going back soon! Hotel: I recommend staying at the OZ Sayulita! It’s the cutest little boutique hotel and definitely the best place to stay in town. The hotel is brand new, clean and beautifully decorated. You’ll feel right at home at OZ Sayulita because the hotel is so small it feels very intimate. They have a killer rooftop pool and also include an incredible breakfast at the hotel every morning for guests. 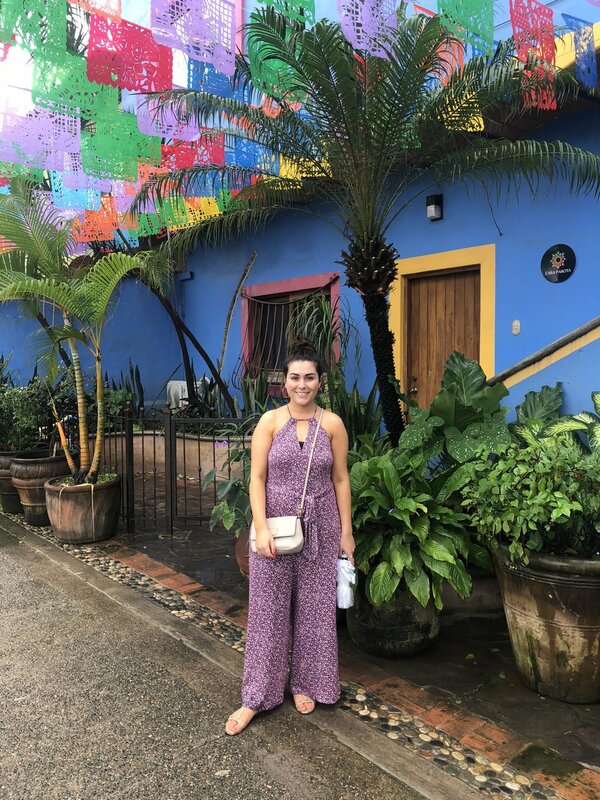 Shopping: Sayulita has many cute shots along the side streets leading up to the beach, but the best purchases we made were while we were laying out on the beach with a margarita in our hands! Many locals walk the beach and sell handmade goods – from toys, blankets, hammocks and even jewelry. I highly recommend buying a few blankets for your home if you’re into that boho chic vibe. Fashion: Sayulita is incredibly laid back. The streets are uneven and paved with stones so you want to make sure you’re extremely comfortable. I recommend packing maxi dresses, sun dresses, jumpsuits, sandals and a pair of sneakers! Timing: I’d recommend going to Mexico anytime between December and May. The earlier in those months you go the more ideal the weather is (May is extremely hot!). We went in October and it was not only extremely humid, but it was their wet season so it rained a lot while we were there. We also got there the day before Hurricane Willa hit so we were caught in the middle of it. Luckily Sayulita is surrounded by mountains so they hurricane never hits the village, but it was a little scary! Once the hurricane passed, it was very sunny and humid – exactly what you expect Mexico to be like!